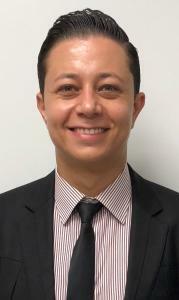 Mohammad Alrawashdeh, PhD, MSN, is a Research Fellow in the Therapeutics and Infectious Disease Epidemiology group at the Department of Population Medicine at Harvard Medical School and Harvard Pilgrim Health Care Institute. Dr. Alrawashdeh received his master’s degree in Healthcare Management from Kent State University, Ohio, and his PhD in Health Informatics from the University of Pittsburgh. He won the annual award of the International Society for Heart and Lung Transplantation (ISHLT) that supported the research project for his doctoral dissertation about clinician’s acceptance of interactive health technologies to support patient self-management. His focus on research methodology and biostatistics enabled him to serve as a project manager and consultant on several research projects such as the leverage of innovative genetic and 12-lead ECG markers to identify NSTEMI, and the evaluation of neutropenic diet elimination protocol on infections among oncology patients.